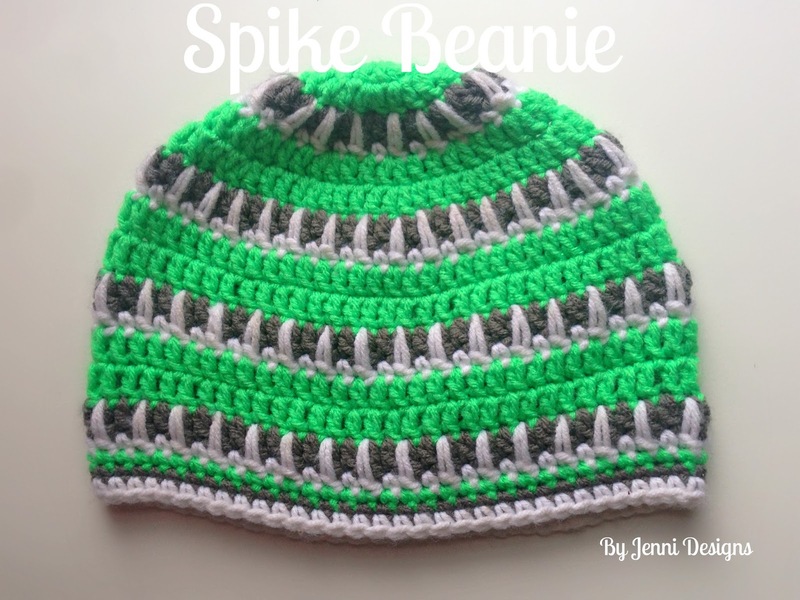 Spike Stitch - After sc, yarn over, insert hook below dc’s from previous round, yarn over, pull up loop, yarn over, pull through 2 loops, yarn over pull through remaining 2 loops. 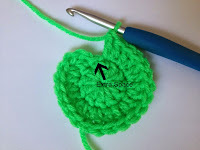 -When working your spike stitch, hold your yarn loosely. -Ch 2's & Ch 1's counts as a stitch. -For rows 2, 3, 5, 6 & 7 you will be working your last stitch into the extra space created by the sl st join from the previous row, shown below. For all other rows leave this space unworked. Gauge: 7 dc = 2"
Thank you for sharing your cool cap! !